Many university students agree that taking numerous courses within one’s major can be extremely stressful and even damaging to his or her mental health. Thus, students find security in taking easier and usually introductory courses outside their major that do not require too much effort, which can be beneficial to their stress levels and their GPA. 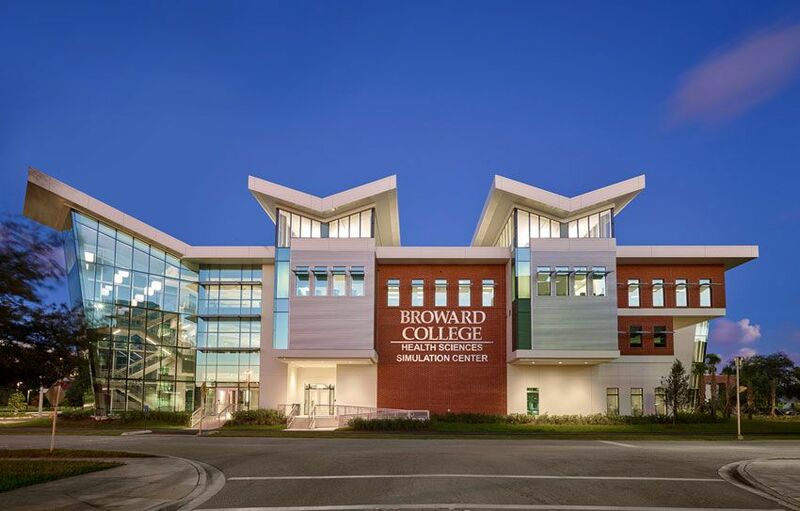 Below are 10 of the easiest courses to take at Broward College. This course is designed for non-art majors and introduces a chronological history of art including style, form, media, and meaning. The course is an exploration of visual art forms and their cultural connections for the student with little experience in the visual arts. It includes a brief study of art history, and in-depth studies of the elements, media, and methods used in creative thought and processes. This course is concerned with the sources and elements of criminal law. The course emphasizes criminal law as related to law enforcement officers with particular attention given to the rights and responsibilities of officers in enforcing various criminal laws. In this course, students learn the basics of using browsers to view websites, create a website and progress through the processes of analysis, design, development, and implementation of complete web sites using HTML, XHTML, XML language with text editors. This course includes Web Programming with HTML, XHTML, XML, with emphasis on CSS on layout and structure of websites, hyperlinks, multimedia, forms, tables, testing, maintenance and uploading web sites to servers applying good web design and web site usability. This course provides an overview of the American education system and the teaching profession. The course focuses on teacher preparation for the 21st century. It examines the history of education, educational philosophies, school governance and funding, the rights and responsibilities of teachers and students, academic standards, teaching and assessment methods, and the needs of diverse learners. This course is a workshop in which students develop their own original stories, while learning basic narrative structure for feature length screenplays. Students also learn to break down and analyze popular screenplays. This course introduces students to the study of literature and a range of widely recognized authors and works. Students examine and interpret a diverse and representative body of works from genres such as short stories, poetry, creative non-fiction, plays and novels. Students learn to demonstrate an understanding of fundamental concepts and ideas in each of the major literary forms. This course develops students’ skills in digital imaging. Students learn through computer use how to create, edit and manipulate digital images from scanned photographs and artwork. Students utilize retouching technique to modify, enhance and reshape images, apply special effects, adjust color balance, manage files, and prepare their work for print output and web/electronic presentation. This course explores the study of the principles and evaluation of critical thinking including identification and analysis of fallacious, as well as valid reasoning. The course considers both traditional and symbolic logic and lays foundations for further study in each area. This course reviews the scientific principles related to human behavior and mental processes. The course explores topics including the scientific method, neuroscience, learning, memory, and thinking, emotions, motivation, and health, life span development, personality, psychological disorders, and therapies, and social psychology. This course is designed to acquaint students with the elements of theatre and how they combine and interact to create the live theatre experience. Students investigate the nature and art of theatre, and also view videotaped and live stage plays to furnish examples of the various dramatic genres, including tragedy, comedy and musical theatre. Taking these courses outside of your major will surely bring ease to your mental health and most likely help to boost your GPA. These courses do not require too much effort, which can free up much of your time to focusing on other courses, finding an internship, and joining extracurricular activities. First-year student at Carnegie Mellon University pursuing a B.S. in computer science with an additional major in mathematical sciences.